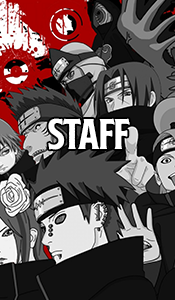 The equipment shop is where you can find most gear such as Kunai, Shuriken, Senbon, and a variety of other useful equipment. Simply scroll down to browse what is for sale, or click one of the links below to quick-travel to a certain category. Remember to stop by often to resupply! Price reduction due to either less demand, or overstocked. Reduced price for a set time. None in stock. Unable to purchase item for set amount of time. Kunai, along with the shuriken, is one of the most common ninja tools. It is a black dagger designed for thrusting and stabbing, though it can still do some damage if thrown despite not being designed for it, and is about the length of one's hand. Shinobi tend to favor them due to both their sturdy and dependable nature, as well as their evident versatility. Shuriken, like kunai, are one of the more common ninja tools. They are sharpened,four-pronged metal stars, useful for throwing. Although small, they can be used to distract, pin down enemy shinobi, or if accurate enough, can be deadly. They have an open circle in the center used for grabbing with a finger, to avoid cutting oneself, or to put stuff through. The circle is also beneficial to the weapons overall aerodynamics, ensuring more accurate trajectories. Fūma Shuriken 11,000 Ryo Ea. The fūma shuriken is a large, four-bladed shuriken possessing preeminent sharpness and lethality. Its four blades can be collapsed for easy storage, leading to its nickname Shadow Windmill. Senbon are metal needles with a point at both ends. They often serve a medical purpose, being used to strike acupuncture points. They have little killing power, but can be thrown with great accuracy. A user with proper medical knowledge however, can effectively use senbon in battle to incapacitate or even kill their target should they aim for vital spots. Makibishi are small, sharp objects that are mainly used to inhibit someone from walking in a certain direction or area, since they would injure the ninja's feet if they tried to walk over them. Comes in packs of 5. Kunai Blades 13,000 Ryo Ea. Kunai Blades have the general appearance of kunai with similar bases, but the blades instead are curved, elongated and single-edged, giving them similar appearance and function to swords. Each of the blades has a small hole right near its long, bandaged hilt, which at its edge sports a larger versions of the standard ring all kunai have. These Kunai Blades are 3 feet in length. Basic Sword 10,000 Ryo Ea. A basic sword is a long, bladed weapon used for combat. These swords are either a traditional Japanese katana, tantō, or ninjatō. It is up to the buyer to choose which of the 3 he or she wants. Because you do not need Kenjutsu to use the 3 of these, they are much more fragile than Kenjutsu specialized swords, and are made of carbon steel. When purchasing a Basic Sword, be sure to state whether you are buying a katana, tantō, or ninjatō. Ninja Wire 2,000 Ryo Ea. Ninja Wires are thin pieces of wires that are highly durable and can be used for rappelling, manipulating weapons, or to bind and restrict the movements of an opponent, or in setting traps. Comes in coils of 10 meters. Scrolls remain one of the most important pieces of equipment in a ninja's arsenal. Because of their size, multiple scrolls can be carried into battle in the front pouches of a flak jacket or in a pouch. Apart from its usage as a literature medium, the scroll can also be used by ninja to summon items to their aid. This will save space and prevent the sacrifice of a much needed piece of equipment which may be required later. A Large scroll with the same use as a regular scroll, only it is larger, around the length of ones torso. These scrolls are often strapped to ones back, and used for storing many smaller things, or something large. Giant Scroll 20,000 Ryo Ea. A Giant scroll with the same use as a Large scroll, only it is even bigger, around the length of ones body. These scrolls are often strapped to ones back, and used for storing incredibly large things it's predecessors are too small to store. Explosive Tag 9,000 Ryo Ea. Explosive tags are scraps of paper inscribed with a special writing, centering around the kanji for "explode". Infused with chakra, they will explode after a set amount of time, remotely, or after being ignited by flame. The tags can be attached to a surface or wrapped around a weapon to be thrown at an enemy. They are very versatile and one of the basic ninja tools. Explosive Tags have a three meter explosion radius. Each tag is consumed on use. Flash Bomb 15,000 Ryo Ea. Flash bombs are used for diversions, creating a blinding light when they detonate. It may look like small spheres wrapped in paper with the character 'light' or, more conventionally, as canisters. They may also be used in the form of tags. Flash Bombs have a five meter radius for it's range of effectiveness. A second and a half before going off, the bomb will make a 'bang' sound, signaling the flash that is about to happen. The bang itself is loud enough to hear when within it's range of effectiveness, but does nothing itself, as these are not 'Flash Bangs'.Each bomb is consumed on use. Smoke Bomb 13,000 Ryo Ea. A smoke bomb creates a cloud of smoke when it detonates. It may look like small spheres wrapped in paper or like canisters. Smoke bombs are typically used to blind opponents and make them easier to attack. Alternatively, ninja can use smoke bombs on themselves so that opponents cannot see what they are doing. The smoke from the bomb covers a five meter radius. Each bomb is consumed on use. Chilli Pepper Bombs 65,000 Ryo Ea. Mouth Ember 5,000 Ryo Ea. A small capsule a ninja may store in their mouth, no bigger than the size of a bead. The capsule must be bitten to be activated. Once bitten, it will form a single ember in the ninjas mouth. That ember can be spit at a combustible substance to help ignite it. Each ember is consumed on use. Wireless Radio 40,000 Ryo Ea. A radio transmits signals by sending electromagnetic waves with frequencies below those of visible light. They can then be received by other radios in the form of sound or a wide array of signals in order to make sure important information is protected. These wireless radios have a 2 mile range. The batteries that power these radios only last 10 posts while the radio is in use. Batteries that are most often used to power the Wireless Radio. Each battery only lasts 10 posts while in use, thus it is often good to keep these in stock when using the Wireless Radio for long periods of time. When the post count for that batter is up, it is no longer usable, and cannot be recharged. Post count carries over into new topics. Handheld Mirror 9,000 Ryo Ea. The Mirror allows a ninja to look around corners without putting themselves directly in the line of sight. More experienced ninja tend to stop using these around the rank of Chuunin, thus they are mostly good for lower ranks who are training to be stealthy. One should be careful using this on a bright day, as the sun can reflect off of the mirror signaling your location, and possibly giving yourself away. A file is a small yet durable ninja tool that can be used to break free if ever captured. The file, when given chakra, is capable of slowly sawing through weaker types of metal. Not only is it good for getting free of chains and shackles, it is also good for keeping your nails smooth and manicured. A must have for Kunoichi! A single File has 1 use to it. It will break once it is no longer being fed chakra. Numbing Poison 23,000 Ryo Ea. Numbing Poison, when injected into the body, is capable of numbing the part of the body it was injected into. This can be both offensive, and defensive, as it can help with treating wounds, or coated over weapons such as senbon. The Numbing Poison when used offensively will keep the targeted body part numb for 3 posts. One purchase of Numbing Poison is capable of coating 20 senbon, or 5 Kunai. If used to coat larger weapons such as a sword, one purchase equals one coating. Numbing Poison coatings need to be reapplied every topic, and only last 5 posts. A special kind of ointment that can speed up the healing process of things such as bruises and burns. While it is not fast, it does add a slight pain relief. Ointments only work on small wounds, and double the speed of your bodies natural healing process for that single wound. Although this increases the speed process of small cuts, the wound is unable to heal fully until the topic is over. 1 Ointment = 1 Use. Bulk Kunai 20,000 Ryo Ea. Bulk Shuriken 20,000 Ryo Ea. Bulk Senbon 12,000 Ryo Ea. Bulk Makibishi 6,500 Ryo Ea. This log displays the history for equipment shop sales, and new releases. Be sure to check in on this occasionally, as this post will simply be edited each update.